In the Philippines, thousands (possibly millions!) of grown-up children are still living in their parents’ homes. Many of them are already married and have kids of their own but still prefer to live in their parents’ homes, no matter how small it might be. In the US, however, children are expected to leave their parents’ homes when they turn 18, get a job, and support themselves before starting a family of their own. But what happens if the kids don’t really want to leave? Can you legally force them out? Well, it turns out you actually can! 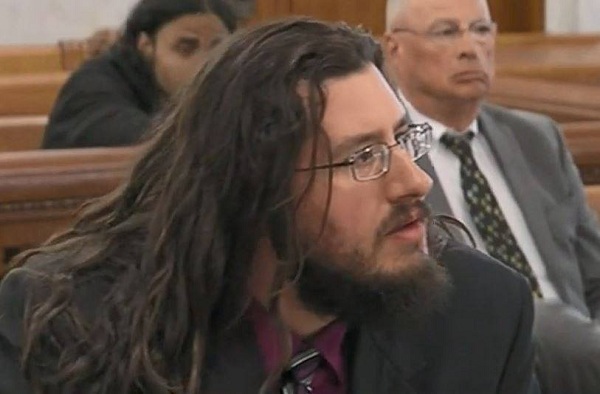 The parents of a 30-year-old man in upstate New York have successfully won a case against their son – and the judge handed him an eviction notice. Just like a lot of young people in the US, Michael Rotondo left the family home and became independent when he got a job. But that was many years ago. When he lost his job 8 years ago, he went back to his parents’ home. They took him back, thinking he would soon find another job and leave but he must have realized it was easier for him to just live off his parents’ money. 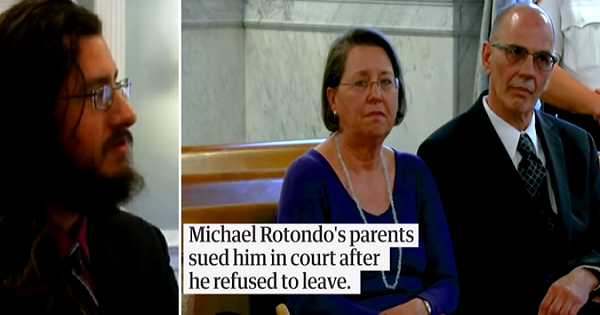 Even though he supposedly owns a website business, Michael reportedly does not pay his share of the groceries or the bills, sparking a row with Mark and Christina Rotondo who just wanted their son to ‘grow up’ and become independent. The couple claimed that their son does not even help with the chores, including doing the laundry. Knowing he is still their son, even though he’s irresponsible, Mark and Christina tried to diplomatically make him leave. They talked with him and begged him to go but he refused. After years of trying to make him go, the couple decided that it might be a good idea to send him formal ‘eviction’ letters to drive the point home but he just ignored those as well. 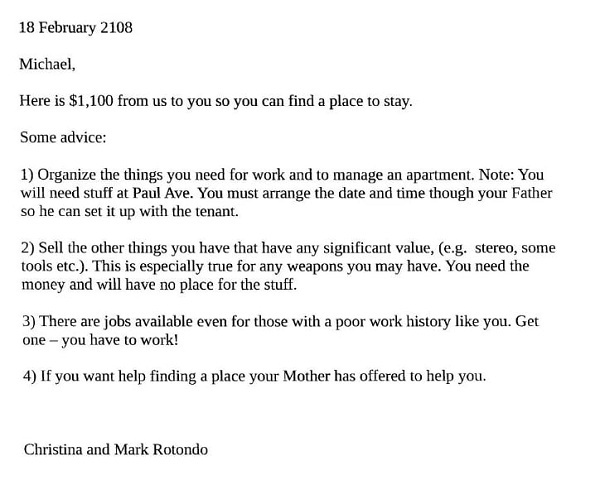 “Michael Joseph Rontodo, you are hereby evicted,” one letter demanded but it got ignored, too. Then, the frustrated parents thought they could ‘bribe’ him to leave but though he accepted the $1,100 they gave him, he still continues living at their house. Angered, the two took him to court. State Supreme Court justice Donald Greenwood ruled in favor of the parents, issuing Michael an eviction notice. Michael has since called the ruling ‘outrageous’ and plans to still go back to his parents’ home ‘to get some things’; though he’s unsure now where he would stay.